The Range Rover Sport is a luxury SUV that is part of the Land Rover family of vehicles. The Range Rover Sport is designed to be a stylish vehicle that is able to comfortably transport family and friends to the destination of their choice. The Range Rover Sport features some aesthetic features that are sure to please. The Range Rover Sport features ambient lighting. This type of lighting provides a warm and relaxing environment when you are driving during the night. The Range Rover Sport is designed with LED lights in the front and back that have the appearance as if they are wrapping around the vehicle. These LED lights provide superior illumination in inclement conditions. 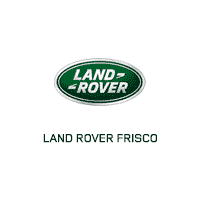 Take the time to come to Land Rover Frisco in Frisco, TX and test drive the Range Rover Sport today. During your test drive, you will notice that this SUV is designed for comfort, style and convenience.